If anyone is interested there are some Cebe 500 goggles for sale on eBay atm. They're not exactly the same as the one's Cyan used, but they're very close. The only difference is that the ones used in Riven had a leather backing around the lenses. These ones have a foam back. Otherwise they're exactly the same. You could say they were a slightly different D'ni design. The auction ends in about 21hrs though. I know my local goth shops sell leather and copper D'ni steampunk goggles. You can always rely on goths to provide. These adjust liquid between two layers of glass to adjust perscription but if you install them into goggles and make the liquid a tinting element and you straighten out the glass so the tint doesn't change the visuals than you have yourself D'ni goggles. 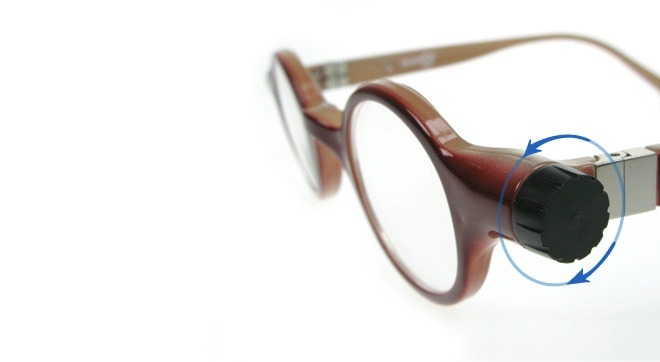 Or you can use photochromic lenses. Though I guess Atrus’ goggles are just dark. Well, you'd need a reservoir for the liquid when the lenses were together, and the entire unit would need to be sealed to keep air bubbles from forming in the view. Therefore, the reservoir would either need some sort of piston system, or would simply need to be made from an elastic material (like a small water balloon that inflates and deflates). The question is, where would you put it? Nevermind the technical issues of having two lenses that moved that way while being watertight. It would be a very fragile pair of goggles. I don't imagine the lenses actually "move" - more likely they're a sealed pair of plastic lenses that change deformity when the pressure of the liquid between them changes and the screw is essentially a piston that controls that pressure. You just need a (hidden) bleed screw for filling and bleeding off any air. However, I'm not sure that a dyed liquid would be able to offer much variation in opacity using that method, and any effect would be more pronounced at the centre of the lens than around the edges.